Since 1998 I managed to earn 10 bronze,10 silver and 9 gold medals. 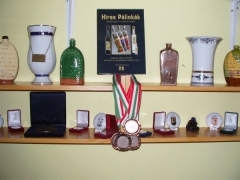 In 2003 my bronze pálinka has received the highest score from the professional judges at the Gyula international pálinka contest and was honored with a special award. 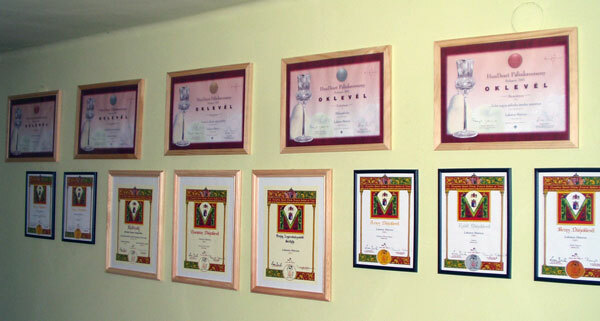 In 2005 April I was the first tenant-distillery to become a member of the Hungarian Pálinka Equestrian Order. 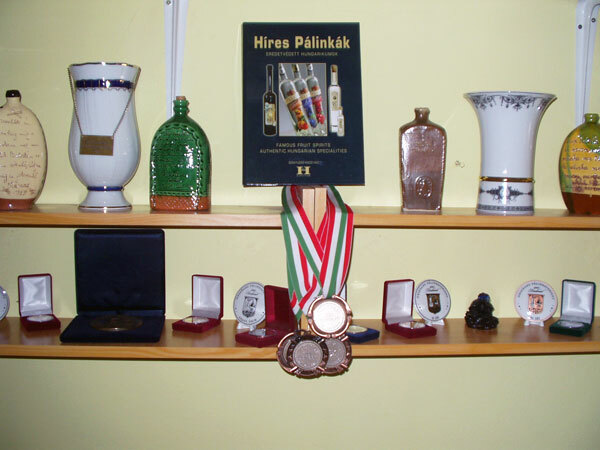 In 2008 at the 9th International Pálinka and distillery competition I won the title of the most successful tenant-distillery. Also, my mulberry-cranberry pálinka mixture won the Champion award, which is the winner title of the category. In 2009, I received the special prize of the National Association Kisüsti distillery. In 2010, the XVIII. Hungarian National and International Fruit Spirits Competition and was awarded the "Best Hungarian Rental Brewer Individual" award, the Confederation of National Associations of fruit cooking and I got my own special award was "For Best Rental Brewer Pálinka"
In 2010, the Company's Peach pálinkas best choice Peach pálinkas of Délalföldi Régió ("Southern Lowlands Region"). The Madaras Pálinkaház in 2010th in December the Sour Cherry and Apricot pálinkas won the title of Excellent Hungarian Food ("Kiváló Magyar Élelmiszer"). The results of the country over the past 3 years: 16 bronze, 13 silver, 9 gold and 3 Champion Award.